What is the Nissan Leaf? The Leaf (short for Leading, Environmentally friendly, Affordable, Family car) is Nissan’s flag ship EV (Electric Vechicle). 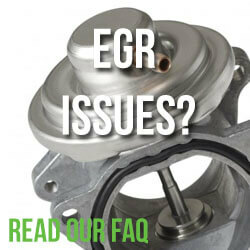 It was introduced in December 2010 amid a media frenzy. 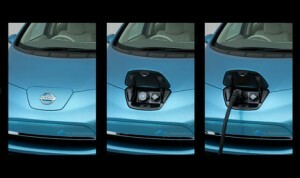 The Leaf is the first mass produced electric car for sale from a major car manufacturer in the world. 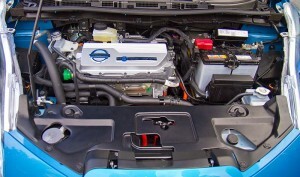 The Leaf’s offical range is said to be at least 100 miles, but the The United States Environmental Protection Agency determined the range to be 73 miles. 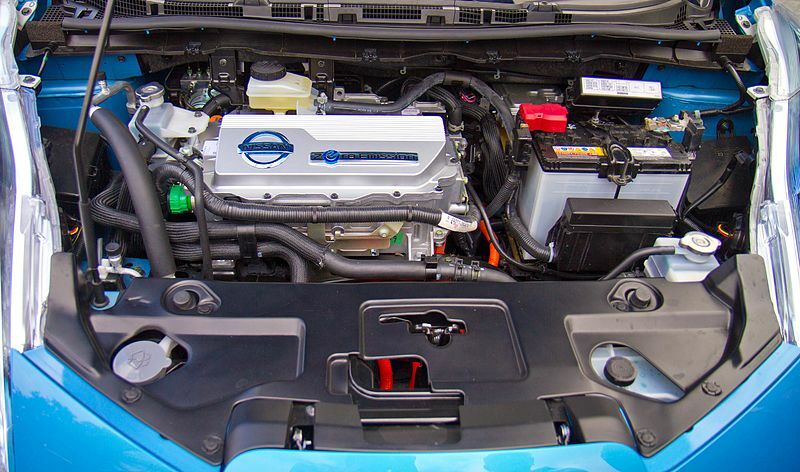 Nissan are rumoured to be working on new battery to double the Leaf’s range by 2015. 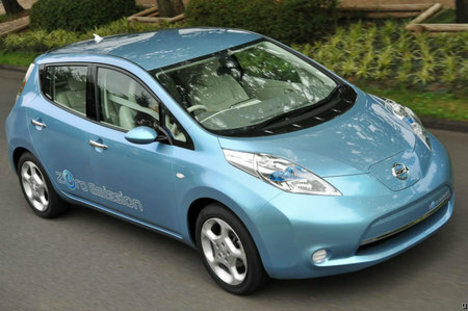 In the US, the Leaf has been given an offical EPA rating of 99MPGe (equivilent). Good new for those in the UK too, the EV will be excempt from road tax and also the London congestion charge. 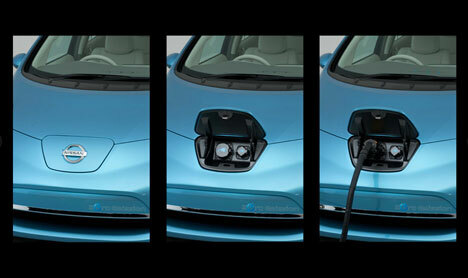 The Leaf is powered by an electric motor rated at 80 kilowatts (110 hp) and 280 newton metres (210 lb·ft). Its front-mounted electric motor drives the front wheels and is powered by a 86 megajoules (24 kW·h) lithium ion battery pack. 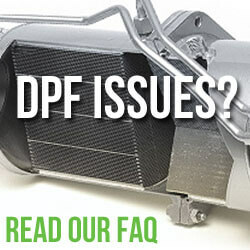 The battery pack itself is expected to retain 70% to 80% of its capacity after 10 years, but that fugure is subject to driving conditions and how the unit has been recharged. Recharging at home is a doddle, and will take the EV from empty to full in 8 hours. Its also clamed that the car can charged to 80 per cent of its capacity in just 30 minutes at special high-current charging stations. London is committed to introduce 25,000 points in the capital. Thats great news for Londers but not so good for those wanting to use the car for extended journeys away from these stations. 5 Pings/Trackbacks for "Nissan Leaf"